Bahrain's Shura Council has rejected a proposal to end a one per cent deduction from the salaries of public and private sector workers, a report said. The deduction is part of the insurance against unemployment scheme, which was introduced in 2006, despite protests from some employees, added the report published in our sister newspaper the Gulf Daily News. Under the initiative, the government pays the equivalent of one per cent of the salary of all Bahraini and expatriate employees, while employers and staff also cough up the same. It means that the equivalent of 3 per cent from every pay cheque goes into the fund to support jobseekers. Council members yesterday unanimously refused parliament's amendments to have the government carry the total cost of the fund. 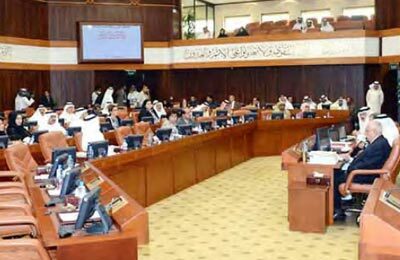 They also rejected an amendment that would have allowed non-compulsory payments by Bahrainis wishing to contribute to the fund. The amendments were approved by parliament twice and blocked by the council both times, meaning the proposal would now be shelved. Labour Minister Jameel Humaidan supported Shura Council's vote, adding the proposal would have created chaos in the labour market. "The legislation is just six years old and it is relatively new in the region, but the GCC has seen the success of our experience and is now planning to adopt it," he said. "Parliament's amendments will not benefit the labour market and instead throw us into chaos, especially with the legislation being just forced on expatriates rather than Bahrainis. "Bahrain has gone a long way in labour issues and the international obligations we have committed ourselves to stop us from a lot of things that were practised before, as we have taken global legislation as a framework." Humaidan said the scheme needs close monitoring from the legislative authority to ensure transparency and guarantee its funds are being used properly. "We regularly assess the fund's revenue and in future if we see improvements, then the benefits given to the unemployed will be increased - it all depends on contributions," he added. "People stopped complaining about this fund and the one per cent deduction when they started benefiting from it - whether they were graduates waiting for a job or those who lost their jobs and didn't have a source of income. "People are getting around 60 per cent of their wages if they lose their job until they find work and unemployed graduates are getting between BD120 ($313) and BD300 for six months, until they select a job from lists posted in the ministry.